Stay 3 nights pay 2 or stay 4 nights and pay 3. 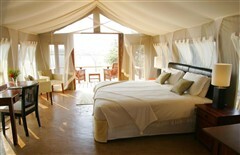 Free internal flights to/from Lusaka or Livingstone for stays over 4 nights. 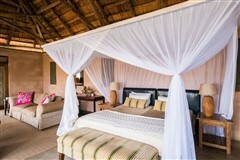 Honeymoon packages available. Enquire for more details! River or Canoe safari on the Zambezi River is a rewarding experience for the morning or afternoon activities. Visit Chiawa Cultural village to experience the Goba culture and learn about the daily living in the Lower Zambezi. Enjoy the true majesty and tranquillity of the Zambezi River with drinks on a sunset river cruise. 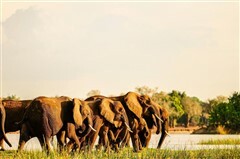 Getting to the Royal Zambezi Lodge requires at least three hours travel time. 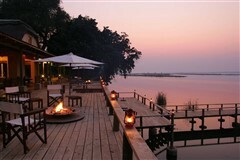 The Royal Zambezi Lodge is approximately two hours and fifty minutes from Zambia’s main airport (Lusaka airport). From the airport you will be met by our representative and transferred to the lodge. Alternatively, a customised charter flight can be organised with the Royal Zambezi airline (Royal Air Charters), and our representative will collect you and drive you to the lodge. Itineraries depend on weather and natural conditions. On the first day, after settling into your accommodations, you will have an introductory briefing to welcome you to Zambia. For the rest of the days at the Royal Zambezi, activities will be designed in accordance to the number of groups at the lodge, weather, facilities and logistics. We offer a certain number of activities that will be provided in different schedules for each group. Early morning – An early start means an equally early wake-up call. A continental breakfast is served from about 6 am and at sunrise you head off on your early morning activity of choice. This is generally the best time to spot the wildlife as the temperature is cool and the animals are still very active, including the big cats who will be returning from a night of hunting. 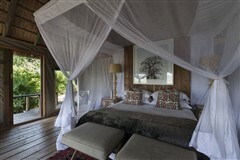 Late morning – After a few hours, you will return to the lodge either for brunch or to relax before lunch. You have the option to stay out all day and will have a bush lunch to make the most of a day in the park. Lunch and afternoon – You can opt to have lunch in the lodge and relax in your suites, or use the lodge amenities such as the pool or the bush spa. Tea and cake is then available from 3.30pm before you head out for an afternoon activity. 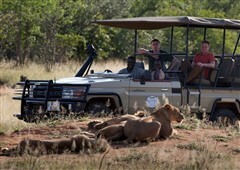 Evening – The evening game drive is often the best time to see the wildlife. The predatory animals begin to stir from their heat-of-the-day slumber, and similarly, their prey become ever more active and alert as darkness falls. 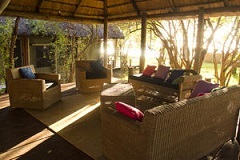 You will be returned to the lodge just before dark in time for a shower, pre-dinner drinks and then dinner. The evenings are often rounded off with a few drinks around the lodge bar and swapping safari stories. Night – Night is a great opportunity for you to go on a game drive and enjoy a completely different perspective of the bush for an unforgettable experience. Game Drives is the best way to see and photograph the predators, large herds of elephant and buffalo in one of our open vehicles. It is a great activity for the morning, the afternoon and if you can stay up, a late night drive using spotlights for night viewing can be the most exciting when the nocturnal creatures such as leopards, civets, porcupines, genets and aardvarks, to mention a few, come out to hunt and forage for food. 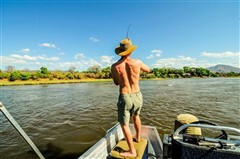 Fishing in the Lower Zambezi offers one of the finest fresh water angling experiences in the world. You can try your hand at Chessa, Nkupe, Bream, Vundu, Barbel and of course the famous Tiger fish! The best time for Tiger Fish is during our hot months of September through to November. You will be guided by our experienced guides who will take you to all the best fishing spots and show you through the whole process. Whether you are a complete beginner or a professional angler we can guarantee you that catching one of these mighty fish is an experience you will never forget! A cruise in one of our outboard powered boats will be a rewarding experience whether early in the morning, later in the morning, or after going into evening. You will come across a rich variety of birds on its banks, reedbeds, backwaters and sandy shores particularly when the Palearctic migrants are around. You will see the ubiquitous fish eagle or an osprey often taking larger fish from the river as well as myriad kingfishers of all shapes, colours and sizes who are partial to the smaller ones. With a huge variety of waders, storks and herons it’s a twitcher’s paradise with many other interesting distractions. On top of that, as all the large mammals come to the river to drink and in the case of elephants to simply frolick in the water, you will get a chance to come close to them to get some really amusing pictures of their antics. You’ll enjoy the refreshments stocked up on the cruises to accompany you as you enjoy a sundowner on a sandy island with elephant nearby and perhaps have a game of boule before switching on the spotlight to search for those bright eyes in the water and on the banks on the way back to the lodge. Let our knowledgeable guides guide you through the bush on foot, you will focus on vegetation, birds, tracks, insects, butterflies and more. A good snake sighting is often one of the highlights of the walking safari and a live study and understanding of their behaviour will cure even the most acute ophidiophobia! After a few hours walking in the bush, you will have the appetite for that delicious brunch or lunch or a cold beer! If hiking is on one of your ‘must do’ lists then mountain hiking with the backdrop to the Lower Zambezi National Park with many peaks and a variety of walks and climbs will put you to test or simply provide a mild cardiac stimulus. The trip will first take you through the riverine bush and as you move higher the vegetation changes, then thins out the most fantastic panoramic view of the Zambezi valley emerges. You will be introduced to all sorts of interesting features in addition to the wild animals and birds encountered. Upon returning to the lodge a swim in the big pool, an immersion in your private plunge pool and/or a cold beer will be a well-earned treats. Quietly drifting with no engine is surely the best way to get up close to the animals and the bird life. You will first enjoy a boat trip down river to where the canoes await you, each one carrying one or two passengers and a guide. It usually involves about two or three hours paddling, being paddled or just drifting downstream on an offshoot from the main Zambezi. 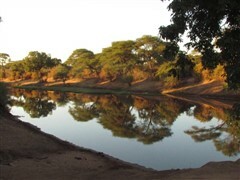 The canoeing experience involves peace and tranquillity punctuated with animal magic in all its form – from lion stalking impala, leopard spotted on a branch watching the world go by, to elephant crossing the water to and from the island. You can either choose to do it in the cooler early morning trip or if you prefer the afternoon with the sun behind, it is all up to you as each trip is different. At the end of the trip you will meet up on the river bank where refreshments of your choice await for you. This is an unforgettable blend of action and serenity and an experience for which many would love to return. A visit to the Chiawa Cultural Village gives you the opportunity to experience the Goba culture and the daily life of the people in the Lower Zambezi. Experience the traditional dances, poetry, ceremonies in the village centre or participate in daily performances. Learn about building a Goba home as the guide will talk through the techniques and show you a Goba hut as it is being built. Visit the village museum and learn about Goba history, artistic cultural and the importance of sustainable ecological management for cultures in Africa. If you have a desire to get a taste of the local cuisine, you are more than welcome and encouraged to dine at the cultural village and learn about local cooking techniques. The idea of DNA is to simply give you the time off and relax by the lodge. Essentially, you can opt to stay in camp, spend time relaxing by the main pool, bar or in the library, making the most of the spa, or simply enjoying your suite. The 15 airy canopied canvas tents nestle under mature trees, and each is positioned for maximum enjoyment of the surrounding views and complete privacy. The tents are impeccably finished with a contemporary, understated elegance. Natural tones, luxurious textures and comfortable armchairs create a secluded retreat. Extra length sprung mattresses with pure cotton linen and fine down pillows ensure a perfect night’s rest. Rates are available upon request for 2018 departures only. **Prices are per person per night and a minimum of 3 nights stay is recommended. Classic rooms are also available.Rates are subject to change and different rates may apply during holiday seasons and special events.